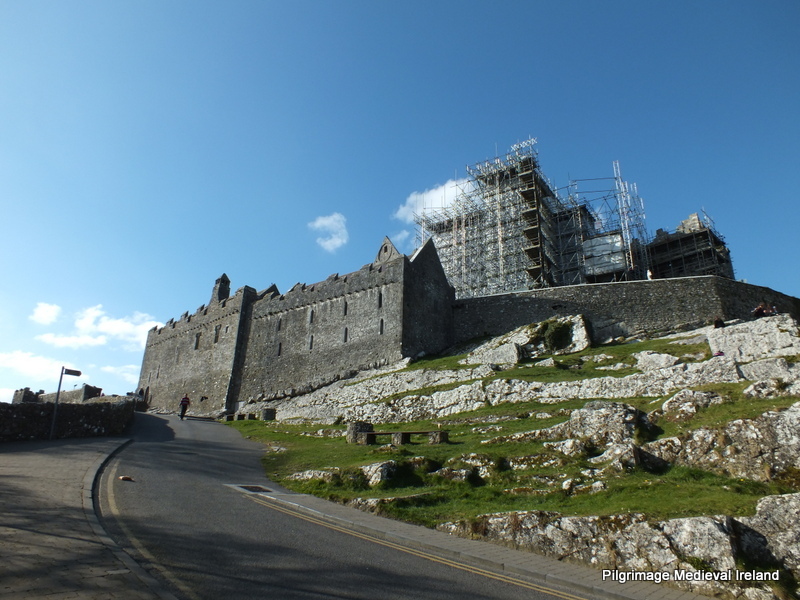 I ended up at The Rock of Cashel in Co Tipperary a few weeks ago. The Rock, one of Ireland’s most famous tourist attractions, is chock-a-block with interesting architectural and archaeological remains. In my opinion large sites like the Rock deserve several visits. From my own experience each time I return I see something new that I missed on previous visits. 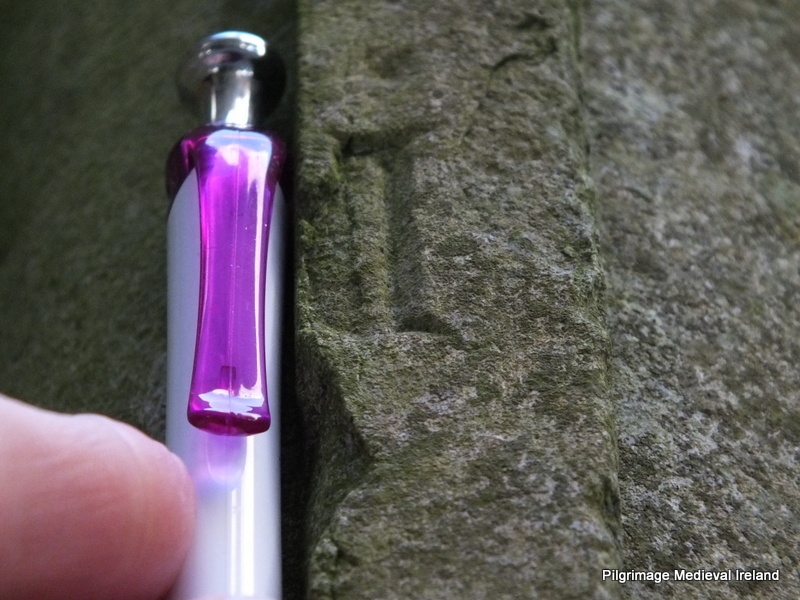 This visit was no exception as I discovered some tiny mason’s marks I had never noticed before. 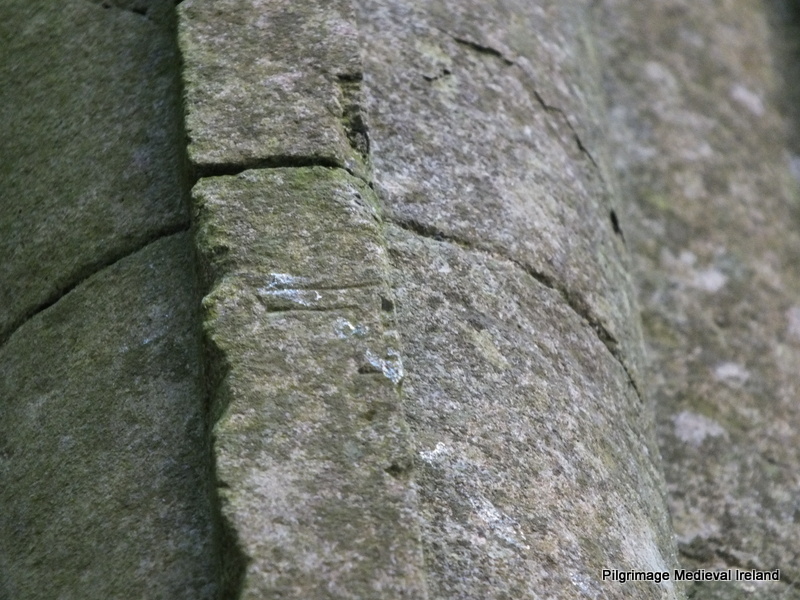 A recently conversation about masons marks found at medieval sites in South Tipperary was on my mind during my visit. I asked one of the tour guides if there were any at the site and she directed me to a number within the main Cathedral church and a building known as The Hall of Vicars Choral. A group of at least three masons marks are located on a large column against the West wall of the nave of the Cathedral church. The church is a Gothic church without aisles built-in the 13th century. A residential tower of 15th century date was inserted into West end of the nave. The column is built against the exterior wall of this tower within the nave. Column built against the west wall of the nave of the church and the residential tower. 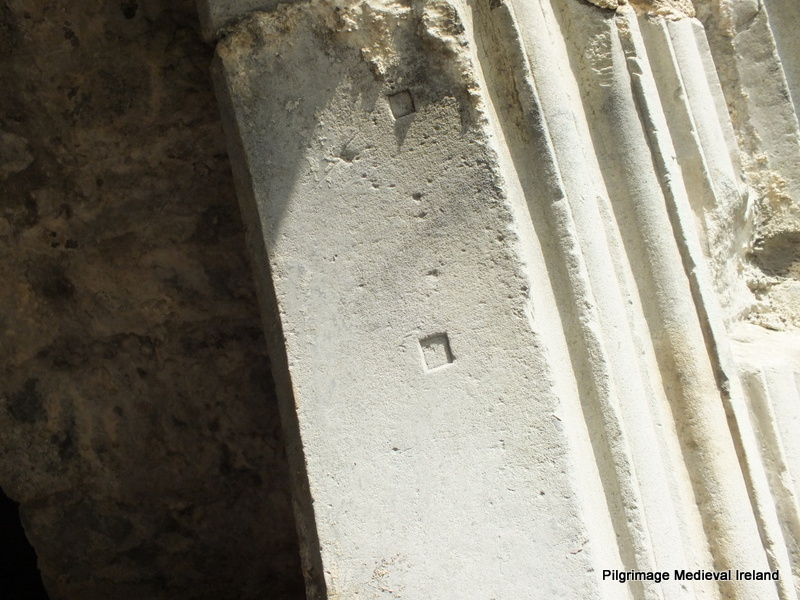 There are at least three tiny masons marks on the column. It takes patience to find them, if you are in a hurry ask a tour guide to point them out. The marks are so tiny, I used my pen for scale for the ones I could reach. They are hard to make out and there may very well be more that I missed. 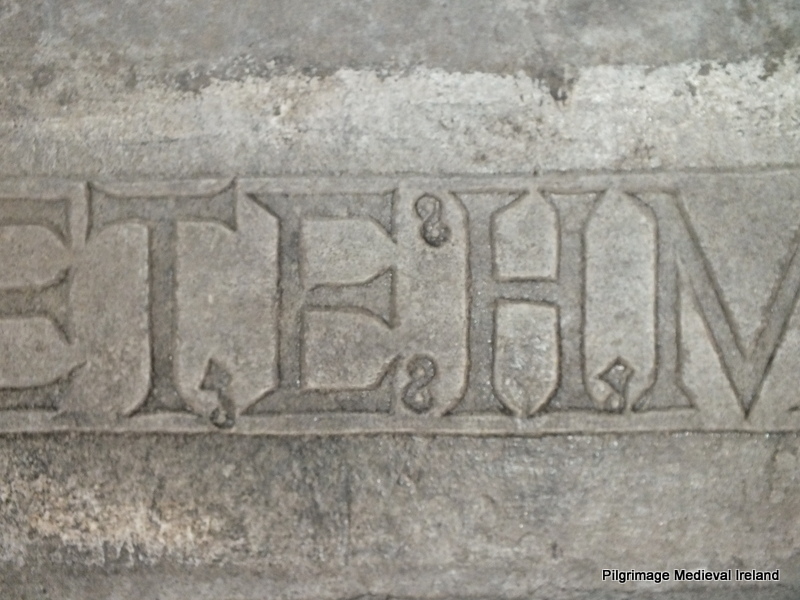 As I was leaving the Cathedral I noted two more square masons mark in the outer doorway of the porch, which projects from the S wall of the nave and was the main entrance to the cathedral. 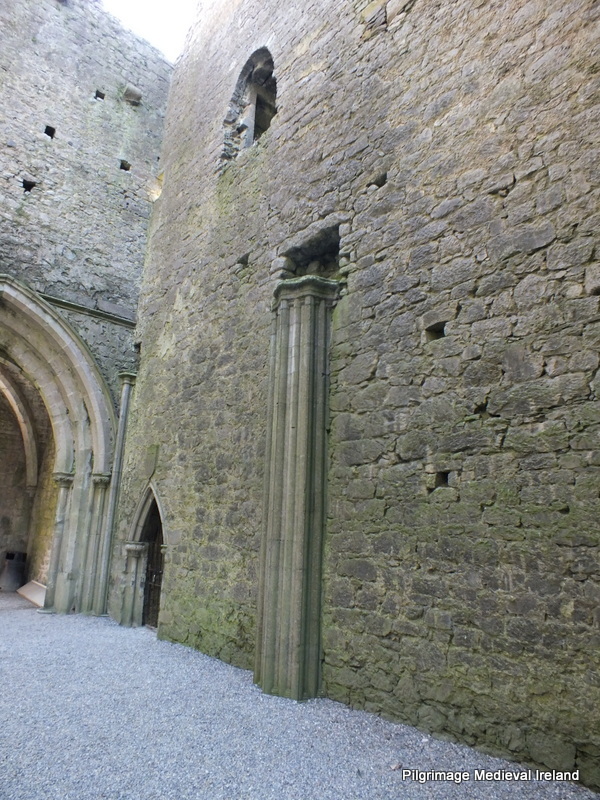 View of main entrance, porch in the South wall of the Cathedral on the Rock of Cashel. Masons marks on the door of the porch leading into Cathedral Church at The Rock of Cashel. 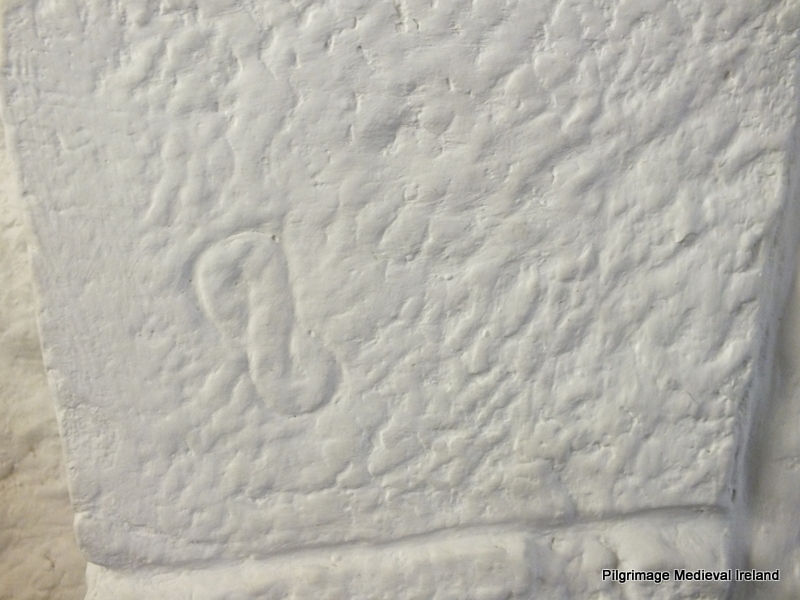 Additional masons marks are found in The Hall of Vicars Choral a two storey building of 15th century date that forms part of the enclosure of the site. 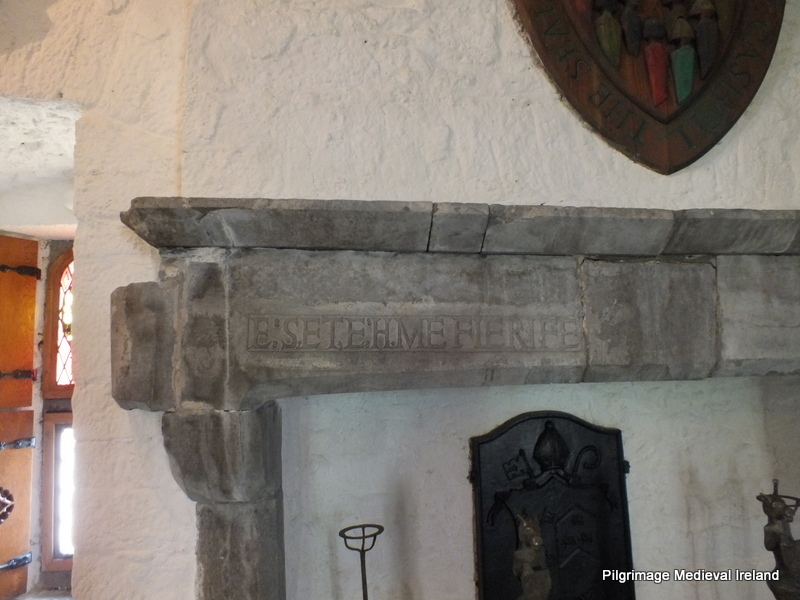 Fireplace with inscription in The Hall of Vicars Choral. Within the inscription are tiny figure of eight and diamond shape with a circle attached. I thought these might be masons marks but archaeologist Eamonn Cotter told me these are full stops and it was common to have stop marks between letters or groups of letters on fireplace inscriptions ( as at Barryscourt Castle Co Cork). Possible masons marks within the inscription of Fireplace of The Hall of Vicars Choral. Possible masons marks within the inscription of Fireplace in The Hall of Vicars Choral. In the next room from the hall (an area restored as a kitchen), I noticed another masons mark on the west wall on the south side of another fire-place. Masons mark found in The Hall of Vicars Choral. I look forward to visiting the Rock again. I am sure that I will find something new that I have not noticed before. 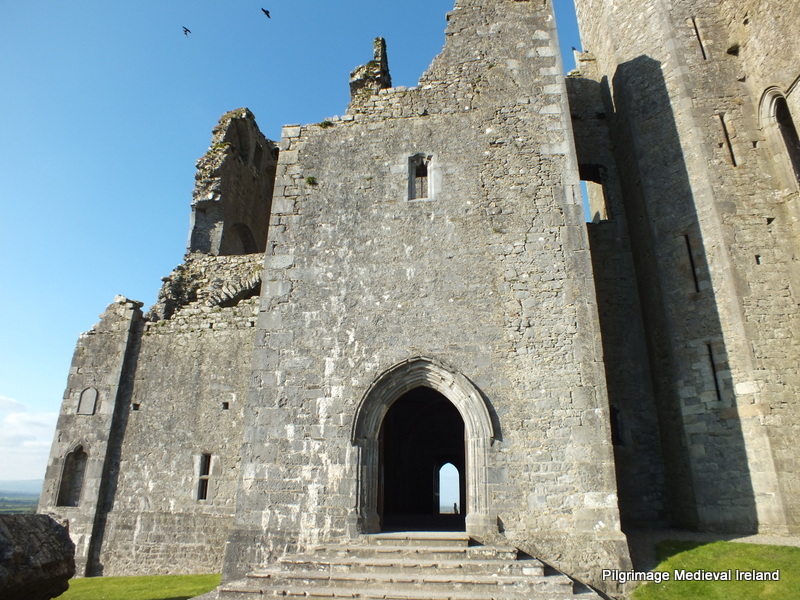 This entry was posted in Uncategorized and tagged Mason's marks the Rock of Cashel, Rock of Cashel. Were the marks a form of identification for individual masons or did the symbolize something? yes kind of like an identification mark each mason had unique mark which means you can track where they worked. 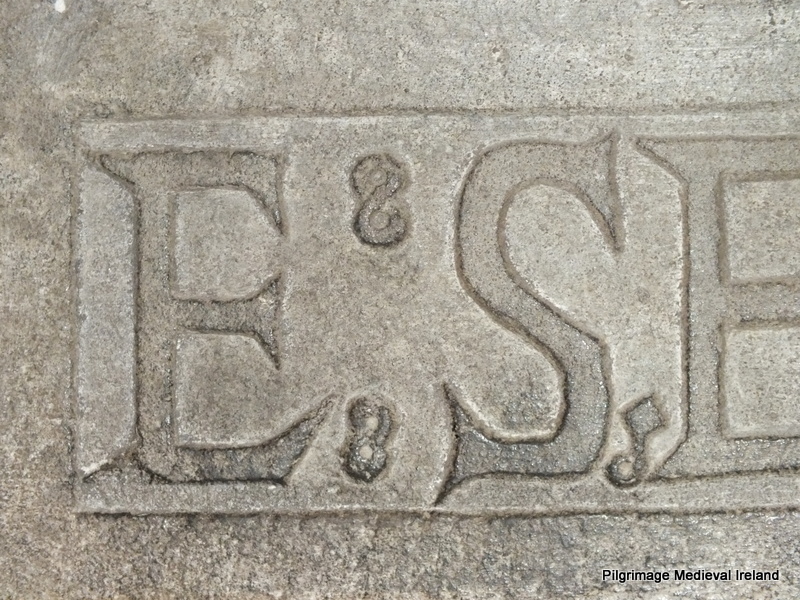 Marks were assigned to a Mason at the end of his apprenticeship and he placed his mark on all his completed work. This was to ensure quality work. 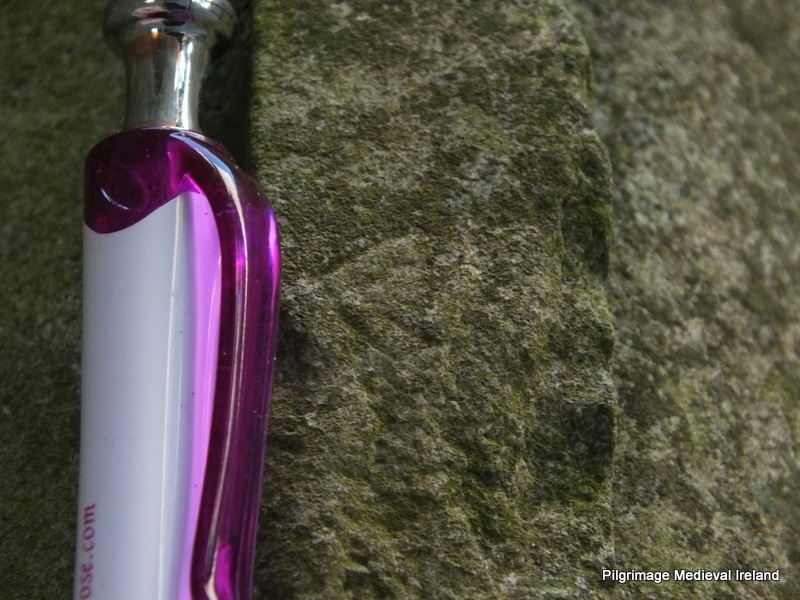 Agreed – it’s amazing what new things you notice every time you visit one of these sites.